John “Jack” D. Neale Memorial Services for Jack Neale, 86, will be at 11:00 A.M. on Friday, February 22, 2019 at Bonnerup Funeral Service, Albert Lea. Rev. Dr. Sean Forde will officiate. Visitation will be one hour prior to the service at the funeral home. 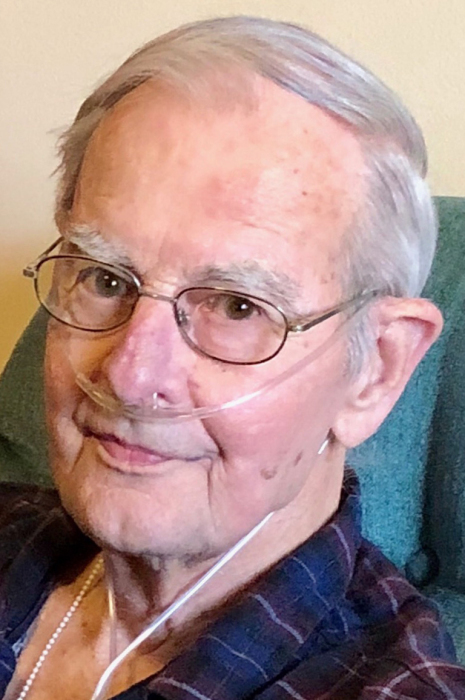 Jack passed away February 1, 2019 at Thorne Crest Retirement Community in Albert Lea. Jack was born August 20, 1932 to William and Margaret Neale in Pipestone, MN. He graduated from Lake Benton High School and served two years in the U.S. Army as helicopter mechanic. Jack studied printing at Dunwoody Institute in Minneapolis and graduated from the University of Minnesota with a BA Degree in Journalism. He spent 6 years as Public Relations Manager at Josten’s in Owatonna before moving to Albert Lea in 1969 and purchasing Rapid Printing, selling it in 1984. Jack married Karen Arneson in 1973, which he always said was the ‘best part’ of his life. She preceded him in death in December 2016. He loved the cabin on Pequan Lake, loved to fish, deer hunt with his brothers and brother-in-law and loved to pheasant hunt locally. Survivors are Karen’s children: daughter, Laura (Kelin) Holmen of Bloomington, MN, and their children Jaimeson Parkin (Ashley Sievers) of Mpls, MN, Taylor Parkin (Chad Archer), of Mpls, MN, Alex Parkin and Noah Holmen of Bloomington, MN; son Steve (Pam) Arneson and family of Albert Lea, MN, and son, David (Heidi) Arneson of Katy TX and their children Philip (Haley) Arneson; daughters, Rowan & son, Wells of Katy, TX, Ellen (Tommy) Mote of Waco, TX, Paige Arneson, Taichung, Taiwan, and Anna Arneson of Katy, TX; brothers, David (Sue) Neale of Hudson, WI, Robert (Bev) Neale of Sauk Rapids, MN and sister, Nancy (Larry) Reinhardt of Star Prairie, WI as well as brothers-in-law, Wayne Peterson (Jim Drozanowski) of New York, NY, Allan (Lois) Peterson of Moranga, CA, and sister-in-law Susan (David) Olson of Albert Lea, MN. Also preceded him in death were his parents. May God bless those special caregivers at Thorne Crest Memory Care, St. Croix Hospice and Amy C. for their compassionate, loving care of Jack. God Bless his Memory. Memorials suggested to Peace & Power, First Lutheran Church.